Need a new pen? There are several here that I would enjoy. How about you? 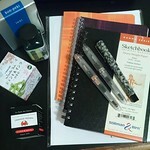 Quick Fountain Pen Review: What’s In My Pen Case Today? T.K. Coleman: Am I a Writer? Are You? Does it Really Matter? 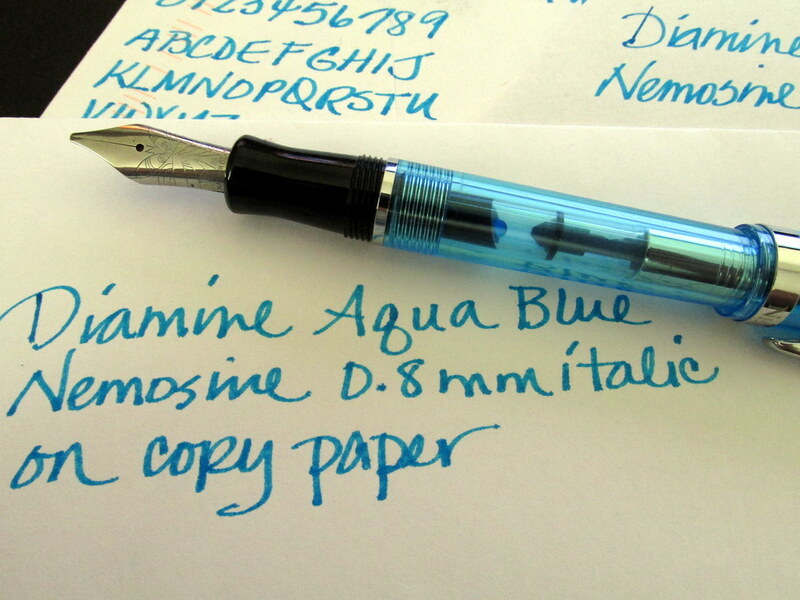 Aqua is one of my happy colors especially in a transparent pen. 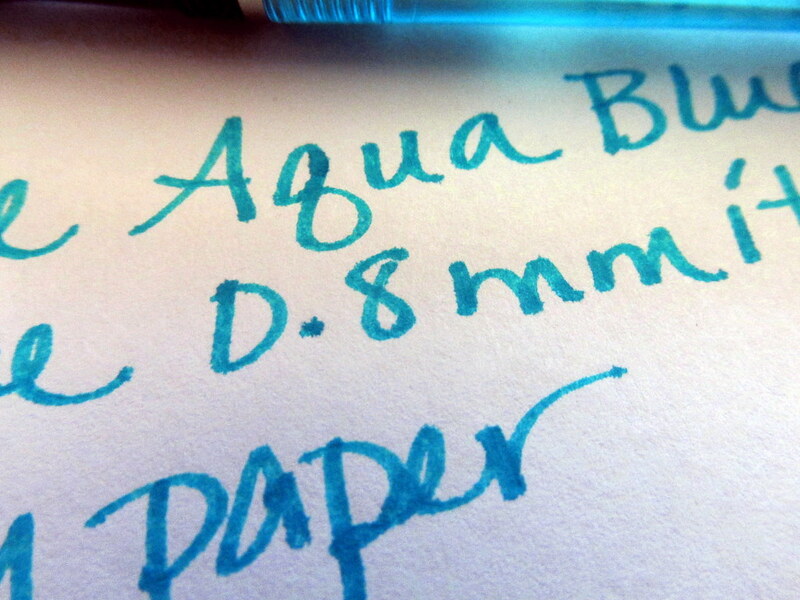 While going through old color swatches, I came across a squiggle of Diamine Aqua Blue and that squiggle is all the use it ever got. Nothing wrong with it, but other colors clamored more loudly for attention and so it got pushed to the back of the shelf. Two days ago Aqua looked just right so the bottle moved to the front of the queue. The stingy Nemosine 0.8 italic nib volunteered to take it for a test drive probably thinking the ink would not be up to the task. Much to everyone’s surprise, on cheap paper the duo produced a very consistent line with the lightest touch. No feathering though some of the outlines are rough. 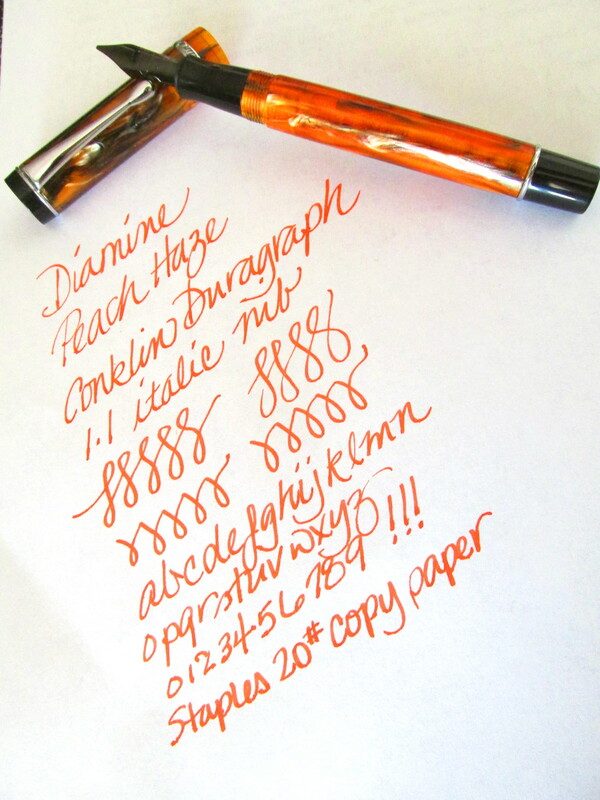 Like Diamine Peach Haze, it did bleed and show through on copy paper. All my hand noticed was that the writing was smooth and stress free. The nib didn’t skate, but it did move comfortably well. Mild shading is more pronounced on Clairefontaine though the nib didn’t glide quite as easily on the coated surface. No feathering, bleed-through or show-through, but Clairefontaine never has those problems anyway. Whether a short-term problem or a long-term condition, there are times when writing can be a challenge. 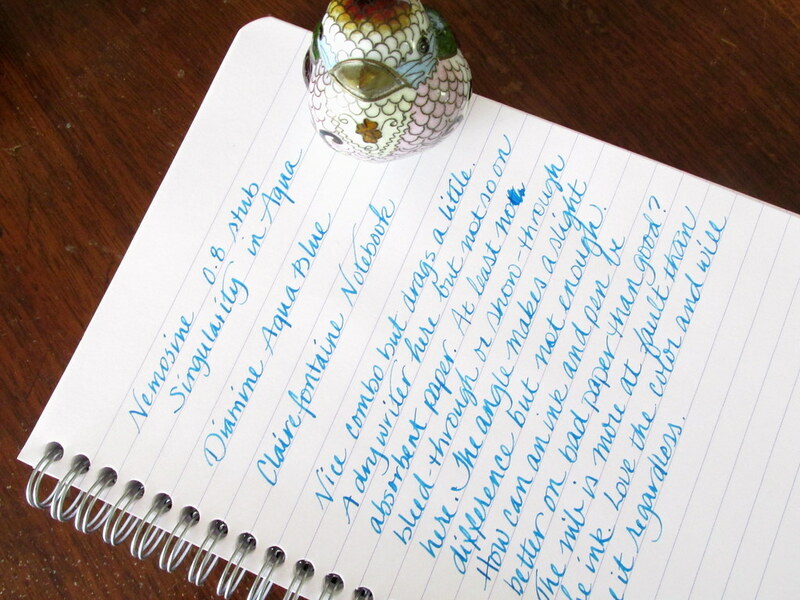 At the end of a long day and for the effortless writing, Diamine Aqua Blue is a rich color that makes filling pages with swirls, letters and doodles a delightful activity. Sometimes you just get lucky. Last night I was doodling on scrap paper and discovered that Diamine Peach Haze works brilliantly on 20# copy paper even from a 1.1mm italic nib. Who knew? Peach Haze is brighter and more neon orange than the image, but the lack of feathering on cheap paper is impressive. However, there is show-through and bleed-through, if you are keeping score.